One of the fundamental assumptions underlying linear regression models is that the errors have a constant variance (i.e., homoscedastic). When this assumption is violated, standard errors from a regression can be biased and inconsistent, meaning that the associated p values and 95% confidence intervals cannot be trusted. The assumption of homoscedasticity is made for statistical reasons rather than biological reasons; in most real datasets, some form of heteroscedasticity is likely to exist. However, a survey of the behavioural ecology literature showed that only about 5% of articles explicitly mentioned heteroscedasticity, leaving 95% of articles in which heteroscedasticity was apparently absent. These results strongly indicate that the prevalence of heteroscedasticity is widely under-reported within behavioural ecology. 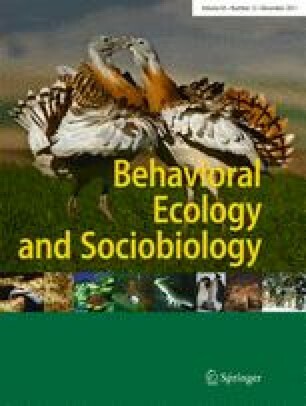 The aim of this article is to raise awareness of heteroscedasticity amongst behavioural ecologists. Using topical examples from fields in behavioural ecology such as sexual dimorphism and animal personality, we highlight the biological importance of considering heteroscedasticity. We also emphasize that researchers should pay closer attention to the variance in their data and consider what factors could cause heteroscedasticity. In addition, we introduce some simple methods of dealing with heteroscedasticity. The two methods we focus on are: (1) incorporating variance functions within a generalised least squares (GLS) framework to model the functional form of heteroscedasticity and; (2) heteroscedasticity-consistent standard error (HCSE) estimators, which can be used when the functional form of heteroscedasticity is unknown. Using case studies, we show how both methods can influence the output from linear regression models. Finally, we hope that more researchers will consider heteroscedasticity as an important source of additional information about the particular biological process being studied, rather than an impediment to statistical analysis. The online version of this article (doi: 10.1007/s00265-011-1254-7) contains supplementary material, which is available to authorized users. We thank Barbara Morrissey, Eduardo Santos and Alistair Senior for commenting upon earlier versions of this manuscript. We are grateful to three anonymous reviewers for comments which improved the manuscript. We would also like to thank Terry Burke for his encouragement during the writing of this manuscript. S.N. is supported by the Marsden Fund.